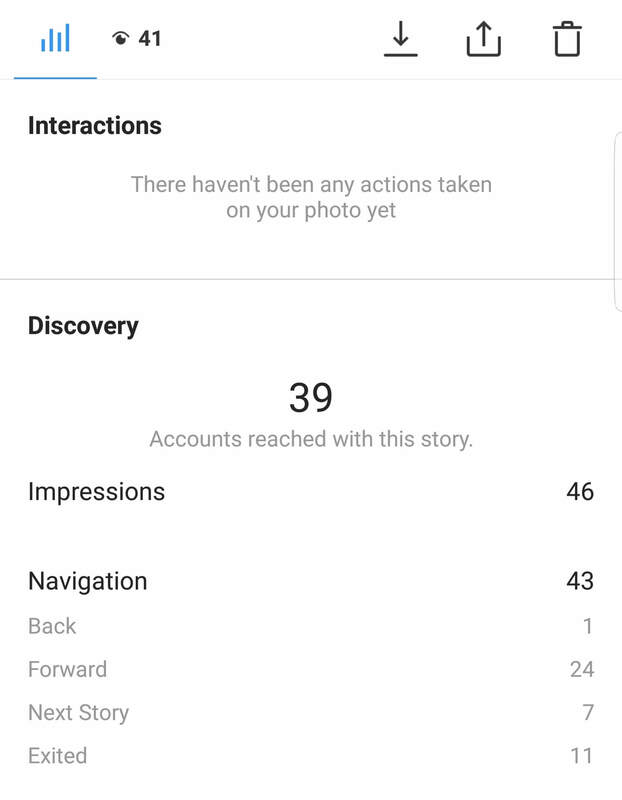 Each Instagram profile has bot followers. Their number depends on how you promote your account. For example, an unfair contractor could wind them up. Also most often they follow on their own. These are commercial accounts, bloggers and profiles promoting through mass-following. How bots and untargeted followers can harm? Technical and commercial profiles already don't bear any benefit to the account, a maximum is a beautiful number in its header. Moreover, they can harm your page, reducing the rate of involvement. Instagram followers directly influence on this indicator. To calculate engagement, it's necessary to divide the number of followers by the number of reactions - views, likes, comments. The logic of Instagram is simple: if you have high involvement, it means you publish good content that users like. Such content should be shown more often and therefore the coverage increases. And because of bots, Instagram can significantly cut coverage, and your content in the feed will see a much smaller number of targeted followers. Commercial accounts are stores, brands, bloggers who expand their audience with the help of mass-following. They have thousands of following requests, and they just will never physically meet your content in the feed. Bots that cheating services are using to create the appearance of the big number of followers. These are dead technical accounts that don't have posts and followers. These followers should be regularly and carefully disposed of. Do it too fast. If you sharply remove a lot of bots, you can permanently reduce the organic reach or even get into a shadow ban. The social network is now actively blocking profiles that conduct suspicious activity: dramatically increase or decrease the number of subscriptions, and quickly receive many reactions. It may take several months until Instagram ceases to reduce coverage. When cleaning bots, it's important to follow a simple rule - the number of blocked profiles per day shouldn't exceed the number of new followers. To avoid a shadow ban, you can run advertising to attract new followers along with cleaning. Delete everyone in a row. It's important to know your audience and delete only those ones that 100% aren't your target audience. For example, for a business men's clothing store, many orders come from unfilled accounts without publications. It's because very often men don't bother with posts or avatars and create pages that aren't for showing themselves. How to distinguish a bot from a real follower? You need to pay attention to the number of received requests. If there are more than 1000, most likely it's a technical account or a commercial profile practicing the MF. Combine cleaning with a mass following. So you only complicate the situation by adding more and more new bots to your profile. How to identify and remove bots? You can scan the audience and block bots using the proven Spamguard service. It will do all the work for you: remove store pages, bots, and inactive users from the number of followers, unfollow technical accounts and non-reciprocal unsubscriptions. You can also configure Spamguard to monitor followers quality on a regular basis. Commercial accounts and bots. These are pages with many follow requests, mostly over 1000. Non-reciprocal ones. Pages that aren't follow you in response. Inactive ones. Profiles that haven't published anything new in the past 30 days. Here you need to be careful and check the list manually: not all target followers are active on Instagram, publishing something new. Foreigners. If you run a local business, your audience from other countries is completely useless. Moreover, most bots are registered somewhere in Asia or Africa. They can be distinguished by language. Who needs to work with Spamguard? It's ideal for owners of commercial accounts. Bots unfollow is available to any user. The service interface is intuitively simple, everything can be done in a couple of clicks. Bloggers. Many advertisers, before starting a collaboration with a blogger, check his account for the quality of the audience. Only a few people want to give money for the advertising to the dead souls. SMM-specialists. With Spamguard, you can put in order the client page after dishonest colleagues or after a chaotic promotion strategy of the owner. In your account, you can manage multiple accounts at the same time. To start working with the service, register and add your Instagram account that you need to clean into the work panel (Figure 1). Test analysis that has a free mode. The system will check up to 30% of followers with a total of no more than 1000 profiles. Complete analysis with a paid mode. Package checks for 6 or 12 months. The verification may take a long time. The more followers - the longer the analysis will last. The test results will be sent to your e-mail specified during registration. At the end of the test, you will be able to see the audience sorted by lists: bots, non-reciprocal followers, etc. By clicking on any of the lists, you can see which specific profiles fall into this group, or edit its composition. If suddenly you will want to delete certain accounts, just stop cleaning at any time. If you are not going to remove some of the followers that are on the analysis list, they should be whitelisted. Standard daily limits. Most suitable for profiles with the follower's number starting from 5000. The exact number of accounts to unfollow. The percentage of followers of the total number you want to unfollow. It should be borne in mind that one cleaning of bots won't be enough: new and new mass followers and stores will follow an open profile every day. To maintain the purity of your subscription base, you can connect the account protection service. Based on the results of the analysis, the self-learning system will be able to establish the criteria by which to track and delete non-target accounts. You can also register a list of unwanted comments, and the system will also moderate them. It's a self-learning intelligent algorithm that, based on your analysis and clearing of your account, understands which users are undesirable for you and whose activities should be blocked. To monitor the cleaning situation, you don't need to go to the site because reports on any activity with your profile will be sent to your email. Every day thousands of new commercial accounts appear on Instagram. The number of followers and likes under the post no longer plays such an important role for a potential client. Users interact with photo or video content right on Instagram feed, without going into a profile. And you don't need followers, you need sales. Therefore, in promoting a profile, most attention should be paid to the quality of the audience and the quality of the content. Cleaning your profile page from bots is just the beginning of a lot of work. Publish posts more often, experiment with your content, promote the most popular posts, and the result won't take long! Have success in your account promotion!